Save when you order the text and activity book together! 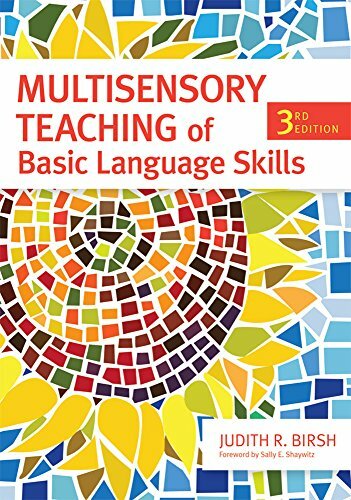 As new research shows how effective systematic and explicit teaching of language-based skills is for students with learning disabilities—along with the added benefits of multisensory techniques—discover the latest on this popular teaching approach with the third edition of this bestselling textbook. Adopted by colleges and universities across the country, this definitive core text is now fully revised and expanded with cutting-edge research and more on hot topics such as executive function, fluency, and adolescent literacy. A text to keep and use long after the course is over, this book includes practical strategies and guidelines on planning lessons, conducting assessment, helping students with learning disabilities develop good study skills, and more. And the broad and deep coverage of multisensory teaching—unmatched by other texts—make this an essential reference and professional development resource for in-service teachers and reading specialists. With this timely new edition of an authoritative textbook, teachers will be prepared to deliver high-quality multisensory instruction that improves outcomes for students with learning disabilities and their peers. If you have any questions about this product by Brand: Brookes Publishing, contact us by completing and submitting the form below. If you are looking for a specif part number, please include it with your message.